Mahmoodi, A. (2012). On the End of the Mystical Journey: Ibn Arabi and Adi Śankara. Religious Inquiries, 1(1), 109-136. Abolfazl Mahmoodi. "On the End of the Mystical Journey: Ibn Arabi and Adi Śankara". 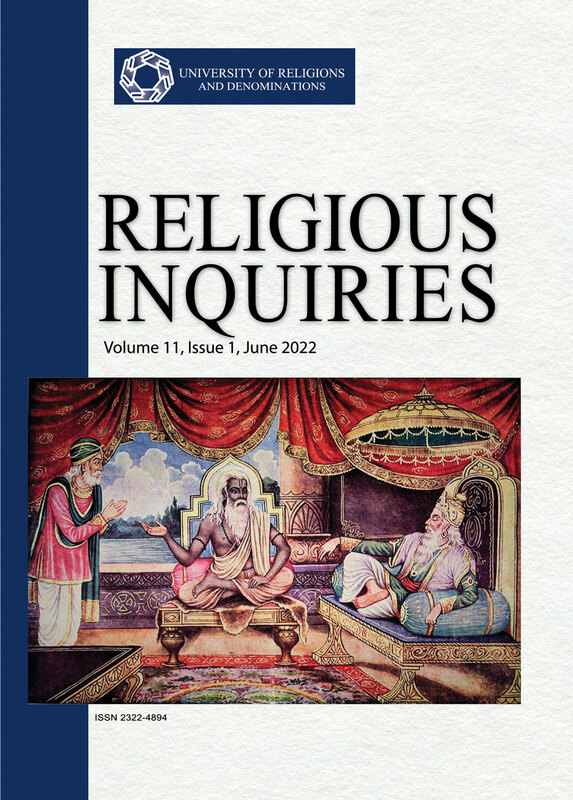 Religious Inquiries, 1, 1, 2012, 109-136. Mahmoodi, A. (2012). 'On the End of the Mystical Journey: Ibn Arabi and Adi Śankara', Religious Inquiries, 1(1), pp. 109-136. Mahmoodi, A. On the End of the Mystical Journey: Ibn Arabi and Adi Śankara. Religious Inquiries, 2012; 1(1): 109-136. This paper will compare two of the most prominent mystics of Islam and Hinduism on what may be called the “end of the mystical journey,” or mokśa in Hindu spirituality and fanā in Islamic mysticism. The interpretations of these two mystics are naturally developed according to their own epistemological and ontological bases. Thus, referring to their most significant principles of thought, the author has tried to examine three aspects of those concepts, i.e., the nature of mokśa and fanā, how these states can be attained, and whether or not religious obligations still need to be practiced after they have been attained. Having compared and summed up mokśa and fanā within the above contexts, the author has shown some striking similarities and considerable differences between them, both in their principles and in the three above aspects relating to their nature, attainment and obligations.